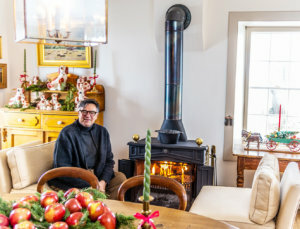 Owner Scott Anderson in the historic Crawforth farmhouse outside Spring City. The home features three Franklin stoves similar to this one in his dining room. 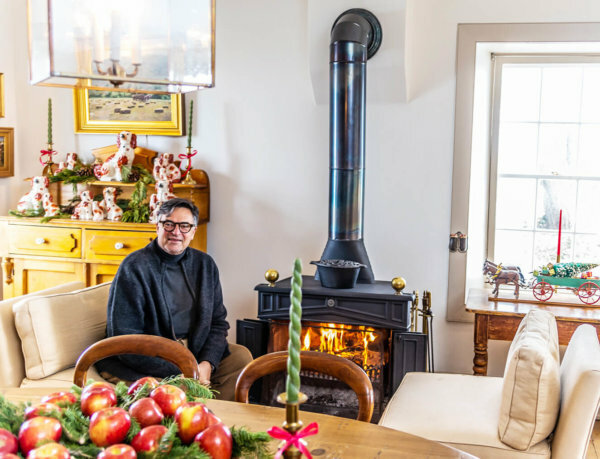 SPRING CITY—Scott Anderson’s roots run deep in Sanpete County, and so does his love of the area’s remarkable pioneer homes. His last name, with its Swedish “son” ending, comes from his paternal grandparents, Albert and Clara Anderson, who lived in Manti. Often while his grandfather was at work, tending the Manti Temple grounds, young Scott would take long walks with his grandmother as she related stories about the beautiful, historic homes they were passing in Manti. 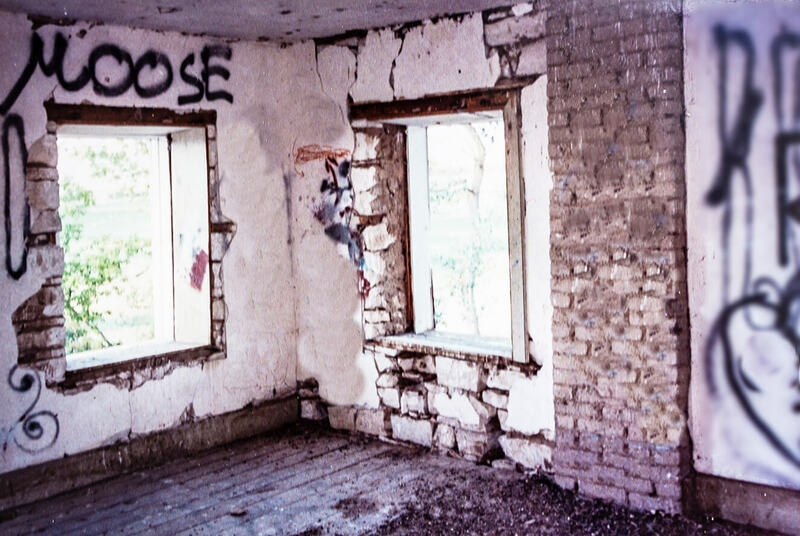 After standing vacant for 70 years, the Crawforth house had been vandalized and was barely standing. 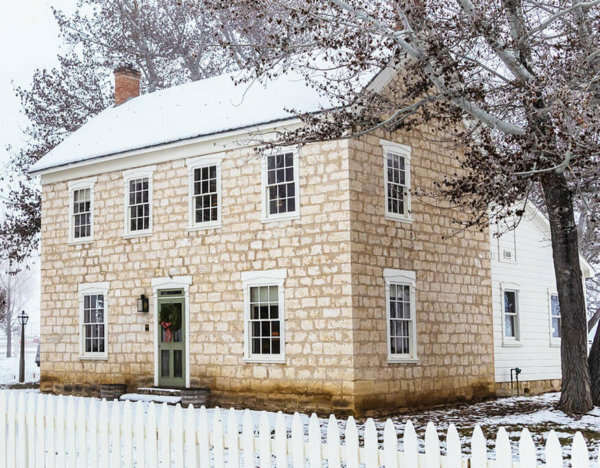 It is no wonder that by age 10 young Anderson knew he wanted to eventually own a beautiful, pioneer home like the ones his grandmother had shown him. And perhaps it is also no wonder that Anderson grew up to become a successful interior designer with clients and projects spread across the United States, all served from his office in Salt Lake City. In 1990, 30 years after falling in love with beautiful old homes in Manti, Anderson decided it was time to realize his childhood dream. At that time, however, the few pioneer homes available in Manti lacked both the out buildings and the acreage Anderson wanted. It became apparent there was nothing available in Manti that could accommodate the collection of antique carriages and the Morgan driving horse he already owned. At that point, Anderson heard about a pioneer-era home just a mile or two south of Spring City. The Crawforth home, as it was called, turned out to be a well-made, two-story stone structure from the late 1800s. Fortunately, the property also included a carriage house and sufficient acreage. 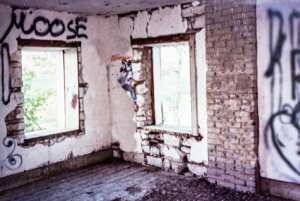 However, the property had stood vacant for some 70 years, had been vandalized repeatedly and was severely deteriorated. But with the eye of an accomplished interior designer, Scott saw possibilities other prospective buyers probably couldn’t see. The renovation looked overwhelming, but Anderson knew better than to think of it as a do-it-yourself project. The parlor in the Crawforth house decorated for the holidays. The home is one of the stops on the candlelight Christmas tour on Saturday, sponsored by the Friends of Historic Spring City. “I realized that to stop continued vandalism, construction had to happen very quickly—much faster than I and one or two others could accomplish on weekends,” he says. So he hired Craig Paulson of Spring City, a contractor with expertise in restoration, to arrest the deterioration and do the basic structural and finish work. Respecting the home’s history, Anderson drew up his renovation design to stay within the exact footprint of the original structure. Of course, Anderson’s design called for adding the functionality of a modern home—especially a nice kitchen and bathroom. Running water for the home is piped in from a well with an electric pump, and a septic tank system processes the home’s waste water in a location far removed from the well. 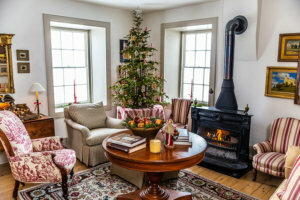 While the kitchen’s gas stove burns propane, Anderson prefers heating the home with wood fires in three Franklin stoves located on the ground floor—in the front parlor, a side bedroom and the rear dining room. The chimneys for the stoves were part of the home’s original 1880s design. But Anderson has also added a propane gas furnace, complete with hot air ducts and vents for use when needed. The original pioneer owner and builder of the home, Charles Longhorn Crawforth, was born in 1824 in North Yorkshire, England, and grew up to be coachman before coming to the Utah frontier with his wife, Martha Moore. Understandably, when Crawforth became prosperous enough he decided to give his wife and children a bigger, better home, complete with a carriage house made with from the same stone as the house. Immediately behind the home he had a root cellar built with a matching stone foundation and a flagstone floor, and above that foundation, he installed a wooden granary. A view of the Crawforth house from the “street” (actually a dirt road) running in front of it. Perhaps copying an English country estate, but on a smaller scale, Crawforth planted and maintained beautiful grounds where peacocks roamed. Friends in Spring City considered it a treat to visit the hospitable Crawforths, especially around Christmas when the trip out of town involved a long sleigh ride. Crawforth’s son, Charlie, inherited the property upon his father’s death in 1910 and occupied the home with his wife, Agnes Livingston, and their children. Then in 1918 Charlie died during the Spanish Flu epidemic. Because of the difficulty of living out in the country with her children, Agnes moved to Spring City around 1920. From then on, no one lived on the property until after Anderson bought it in 1990. But during those years, the home remained in the family, with legal ownership changing among different members of the family. 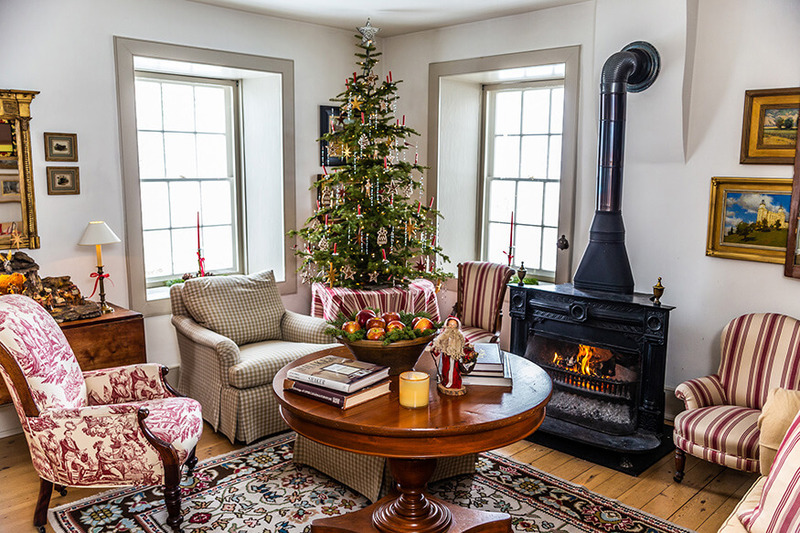 In the 28 years since buying, restoring and decorating the Crawforth house, Anderson has enjoyed being there every season of the year. 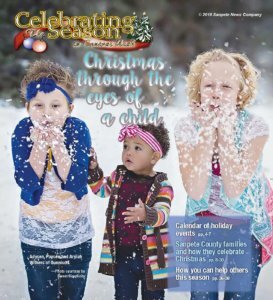 However, like Charles Longhorn Crawford, J. Scott Anderson is particularly fond of the special beauty that comes with winter and the Christmas season. From the home, Anderson can view snow-covered Mount Nebo glistening like a majestic diamond on the horizon off to the northwest. For many years, Anderson’s winter fun included giving adventuresome family members and friends rides in his antique box sleigh, pulled by his trusty Morgan, across the deep and drifted snow of neighboring fields. There was also a time when Anderson’s collection of horse-drawn conveyances included six carriages, among them an extension-top surrey, a regular-op surrey, and two village carts. Some 15 years ago, Anderson opened the Crawforth house for public tours at Christmas time to help raise funds for Sanpete Valley Hospital. 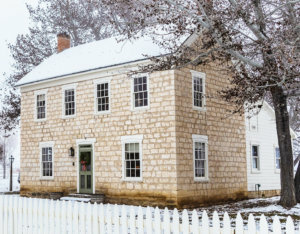 This year, the tradition of Christmas home tours is being revived as a fundraiser by the Friends of Historic Spring City. The Friends call their tour, which will be Saturday from 4-7 p.m., the Candlelight Christmas Tour.